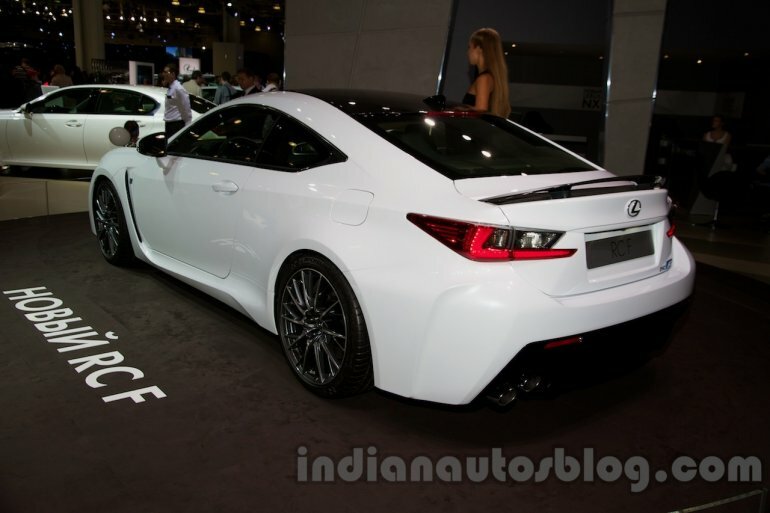 Last week Lexus showcased the RC-F Carbon pack at the 2014 Moscow Motor Show (2014 Moscow International Auto Salon). 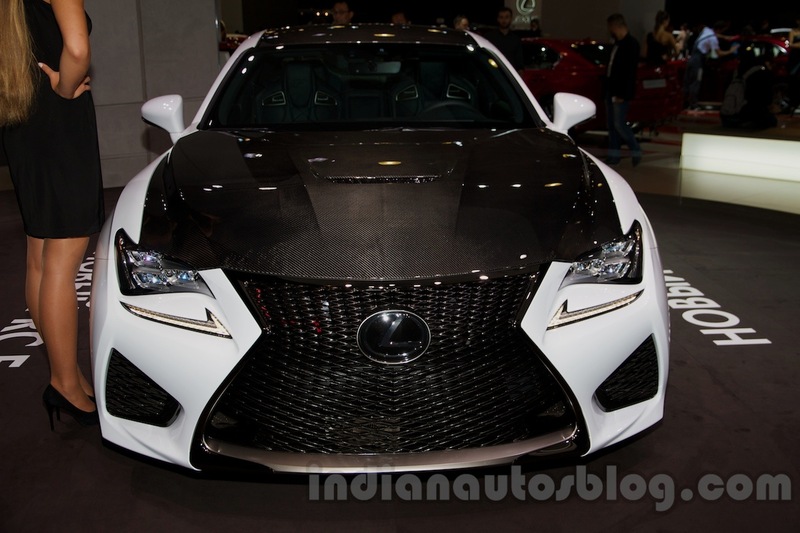 Based on the RC-F, which had its world debut this year at the Detroit Motor Show, the Carbon pack adds a dedicated trim with carbon fiber fittings. The Carbon pack adds carbon fiber body fittings to the RC-F. 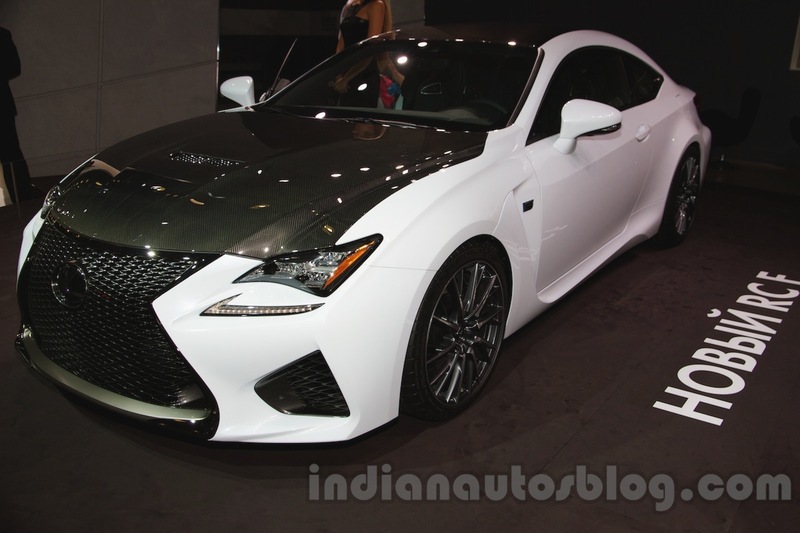 The material is used on the hood (which also gets a central air vent), roof and the active rear spoiler of the coupe. Besides, the car gets 19-inch forged alloy wheels and an Alcantara upholstery. Compared to the regular RC-F, the Carbon pack costs an additional 8,000 GBP (INR 8.03 lakhs) at 67,995 GBP (INR 68.31 lakhs) in the UK market. Mechanically, the RC-F Carbon pack is the same, sourcing power from a 5.0-liter V8 engine which promises more than 450 bhp and 520 Nm of torque. Other features on the car include LED headlights, a 10-speaker Multimedia system with DAB and DVD, a Remote Touchpad control, satellite navigation, climate control, Hill Assist, Lane Departure warning, Rear Cross Traffic Alert and blind spot monitor, parking sensors, electric heated and folding mirrors and an electric steering column.